Printed on Gildan Heavy Cotton. 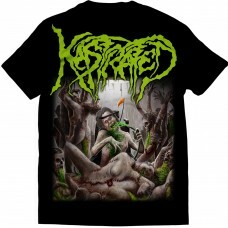 Limited to 50 T-Shirts.Bandcamp:https://inheritedsufferingrecords.bandcamp.com/album/rendered-helpless-suffer-seraphim.. Printed on Gildan Heavy Cotton. Limited to 50 T-Shirts. 18+Bandcamp:https://inheritedsufferingrecords.bandcamp.com/album/untethered-daddy-issues..
Deracinated - Adoration Of Decaying Carrion - Longsleeve T-ShirtPrinted on Gildan Heavy Cotton. 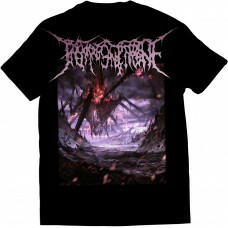 Limited to 25 Longsleeve T-Shirts.Bandcamp:https://inheritedsufferingrecords.bandcamp.com/album/deracinated-adoration-of-decaying-carrion-2.. Printed on Gildan Heavy Cotton. 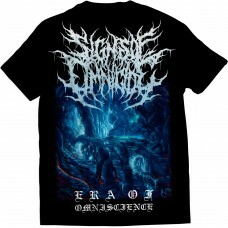 Limited to 15 Hoodies.Bandcamp:https://inheritedsufferingrecords.bandcamp.com/album/deracinated-adoration-of-decaying-carrion-2..
Ages Of Atrophy - The Great Ascendancy Fraud - T-ShirtPrinted on Gildan Heavy Cotton. Limited to 50 T-Shirts.Bandcamp:https://inheritedsufferingrecords.bandcamp.com/album/ages-of-atrophy-the-great-ascendancy-fraud..
Cerebus - Chapter Black - T-ShirtPrinted on Gildan Heavy Cotton. Limited to 50 T-Shirts.Bandcamp:https://inheritedsufferingrecords.bandcamp.com/album/cerebus-chapter-black..
Necrosadist - Hideous Revelations - T-ShirtPrinted on Gildan Heavy Cotton. Limited to 50 T-Shirts.Bandcamp:https://inheritedsufferingrecords.bandcamp.com/album/necrosadist-hideous-revelations..
Signs Of Omnicide - Era Of Omniscience - T-ShirtPrinted on Gildan Heavy Cotton. Limited to 50 T-Shirts.Bandcamp:https://inheritedsufferingrecords.bandcamp.com/album/signs-of-omnicide-era-of-omniscience..
Manifesting Obscenity - Doppelganger - T-ShirtPrinted on Gildan Heavy Cotton. Limited to 50 T-Shirts.Track List:1. Desert Of Suffering2. A Reflection Of The Generality3. Disappointment Of The Burieds4. Fierce Bloodshed5. Intestinal Division6. Irreversible Feeling7. Abru.. 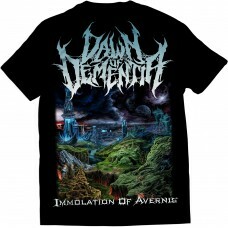 Dawn Of Dementia - Immolation Of Avernis - T-ShirtPrinted on Gildan Heavy Cotton. Limited to 50 T-Shirts.Track List:1. Sealing The Crypt Of Banishment2. Subterranean Exposure3. Universal Imperaliasm4. A Caustic Cleasing5. Transience6. Earth Reciprocation7. Consuming Cal..